The Arts + Literature Laboratory is more than a physical space on the city’s east side. It exposes emerging artists to different ideas and helps those artists to share their work with the community. 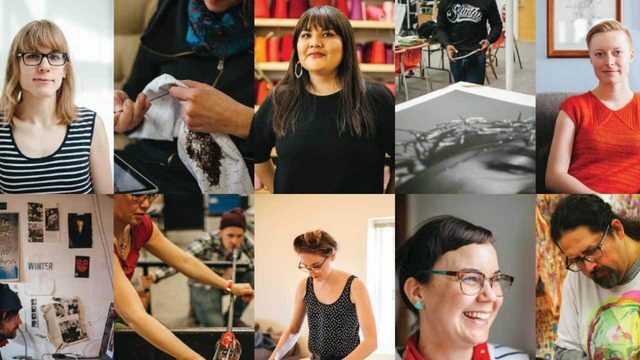 ALL is a community-based, nonprofit contemporary art space in Madison. It offers more than 200 programs, including educational classes, live performances and monthly rotating exhibits. Co-founder Jolynne Roorda says ALL connects artists to viewers, each other and other resources that help develop careers. The space offers workshops and exhibitions in visual art, literary works, performance art and music. Most of the people involved are emerging and early career artists from around Dane County. Some local artists and arts nonprofits have merged with ALL, including Alaura Borealis, formerly of ArtWrite Collective. Now ALL’s education and outreach director, Borealis coordinates free art education courses for youth artists, particularly focused on arts education for marginalized communities.